The Rotary Youth Leadership Award (RYLA) is an international programme designed to develop leadership skills in young people. RYLA participants attend a week long workshop, focussing on leadership and personal development. The programme is organised and run by Rotarians who are successful business and professional people themselves. Rotary Cambridge is calling for applicants! The course is limited to the first 45 awardees and applications close 28th February. NB. The 2017 RYLA programme is open to participants aged 20 – 26 years. Rotary’s District 9930’s (central North Island) RYLA programme is open to any young people in our district who have left secondary school. They can be tertiary students, farmers, teachers, electricians, shop assistants …. whatever… young people who show through their actions that they are emerging leaders. RYLA develops leadership skills and builds support networks for focussed and enthusiastic young leaders. Candidates will be interviewed by their local rotary club to determine they are suitable for RYLA and that they are prepared to commit to this week-long, intensive development programme. Sponsoring RYLA offers Rotary Cambridge the chance to develop a special relationship with young people in our community. RYLA offers the awardees an outstanding opportunity to grow as a leader in a week filled with challenge, new learning, teamwork and fun. The week-long programme has been professionally designed to cover the many aspects of leadership, and is based on a well-respected Leadership model. Leadership skills are developed through introducing new learning, meeting people who are living it, and giving it a go yourself. There’s a mix of indoor and outdoor activities, some at the camp and others off site. 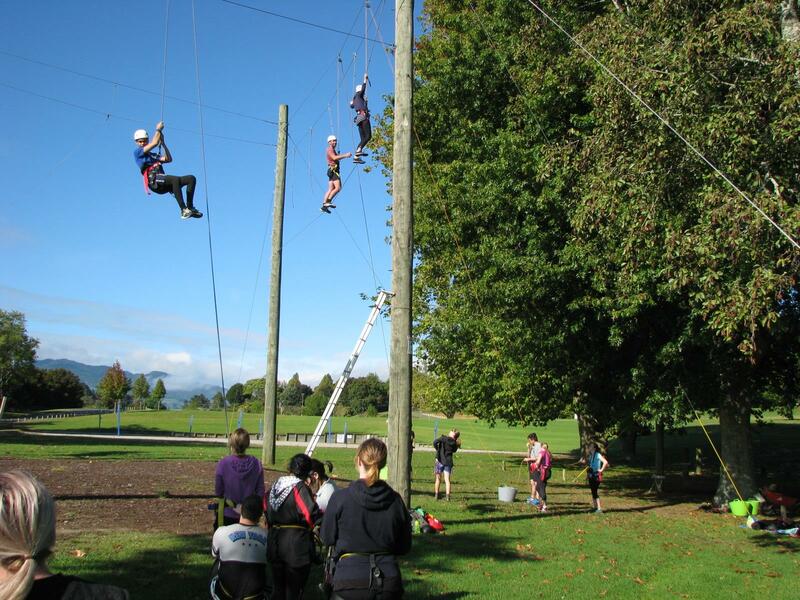 This year’s programme will be run in April at Epworth Lodge, Karapiro from April 23rd -28th and applications are open now for places on the programme. Selected RYLA participants contribute $100.00 to the club and Rotary Cambridge pays the remainder - $650. This fee covers accommodation, food (including the formal dinner) facilitator fees where necessary, and all off site activities and buses for the week.